The relations between Turkey and Russia positively affect the regional security, Turkish President Recep Tayyip Erdogan said. President Erdogan made the remarks during a meeting with Russian President Vladimir Putin in Moscow, Trend reports referring to the Turkish media on Jan. 23. The Turkish president stressed that today one can observe the development of relations between Turkey and Russia in all spheres, including the military and political spheres. “Ankara and Moscow are important allies,” he said. Today the Turkish president is on a visit to Moscow. 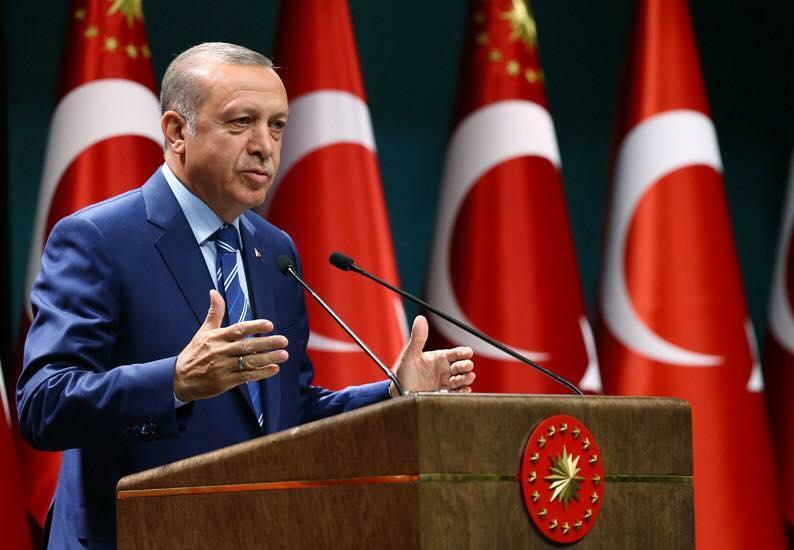 The Turkish president is accompanied by the country's Foreign Minister Mevlut Cavusoglu, National Defense Minister Hulusi Akar, National Intelligence Organization Head Hakan Fidan, as well as Energy and Natural Resources Minister Fatih Donmez. The settlement of the Syrian crisis will be mainly discussed at today's meeting of the Turkish and Russian presidents. As previously reported, along with the settlement of the Syrian crisis, the situation in the South Caucasus can also be discussed during the meeting.